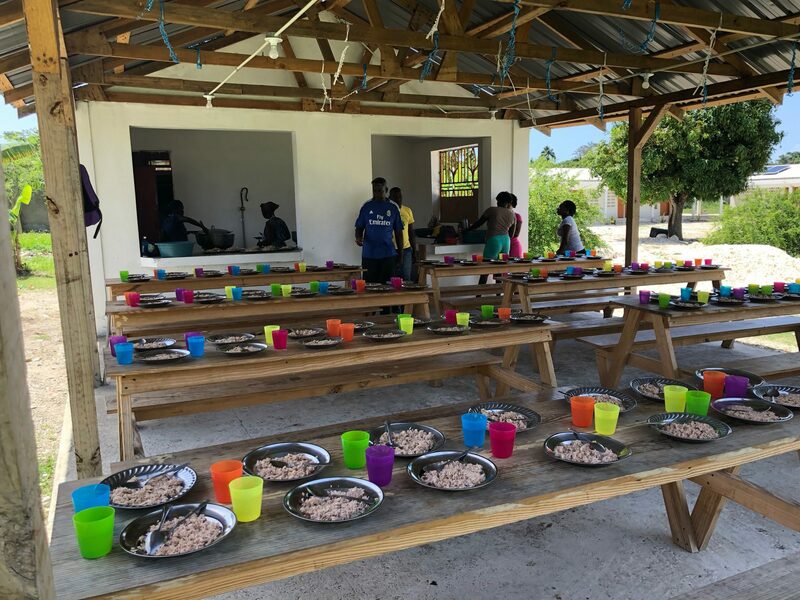 Today on the Hope Grows compound, 300 children will arrive, crowd into the small church and sing a few favorite songs, perhaps have a short story, then head over to the outdoor kitchen to receive a hefty meal of beans and rice from our team of cooks. They line up in order of age, littlest ones first, then are helped to a place to sit and eat in the shade of a giant mango tree. We have been serving food three days a week for the past eight years and in 2016, due to a recent donation, we increased it to five days a week. 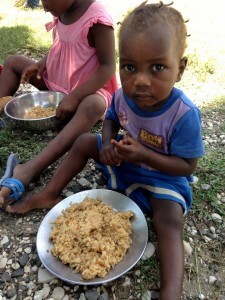 Our meals are often the only ones these kids have to fill their empty tummies. 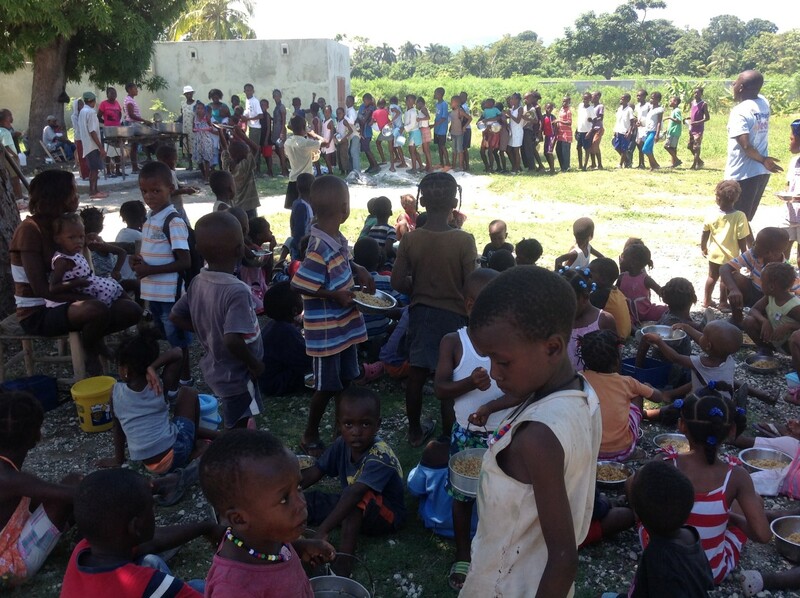 Food prepared is sometimes from Kids Against Hunger, which has an added component of nutrition, but when that is gone we buy huge bags of rice, clean and cook black beans, then add dried vegetables and protein mix. 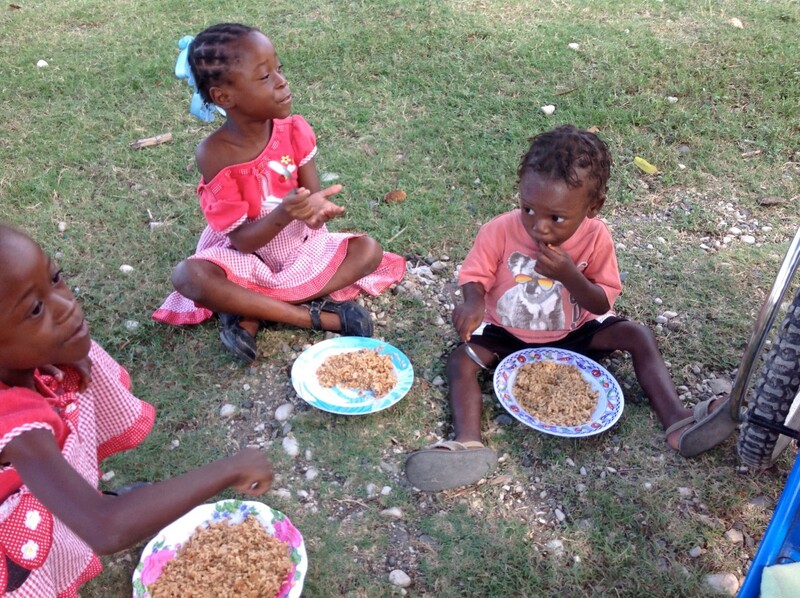 Every meal is consumed with enthusiasm, and we are so excited to see a difference in their physical appearance and overall health. Everyday we have kids come to the compound dressed in what we would call rags. Too big, too small, torn or worn, it is usually all they own. Having them at our feeding program gives us an opportunity to discreetly take them into a building, change their clothing into one that fits and looks new, then roll their old ones up and tuck it under their arm to take home. 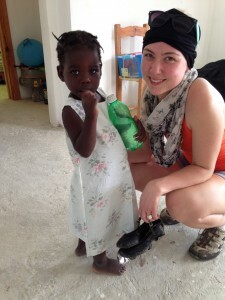 Children in Haiti are also denied schooling because of improper or worn out footwear, so we do the same thing with shoes when the need is apparent. The happy kids leave the compound, bundle in hand, and a smile a mile long. A new outfit and a good pair of shoes is an easy way to give hope and joy to our precious kids. We also send hockey bags filled with clothing and shoes to our schools in the mountains. Visiting teams, or our staff, take every opportunity to deliver these necessary items to the most needy. 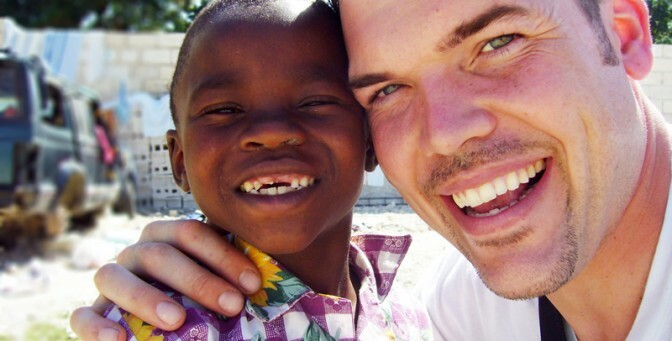 Four years ago Gord Rodin, Co-founder of Hope Grows, developed a building system specific to the needs and challenges of Haiti. 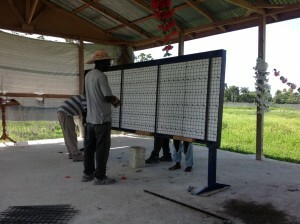 It is a panel system that incorporates wire mesh and concrete that can be produced manually by the Haitians, and one that he believes to be Hurricane proof and Earthquake resistant. This system also provides cool and sturdy buildings in this hot and humid climate. All of our buildings on the compound have been built with this system, as well as the 8 foot concrete security wall around our five acre compound property. It has served our Mission well providing our Guest Lodge, staff housing, warehouse and Clinic. 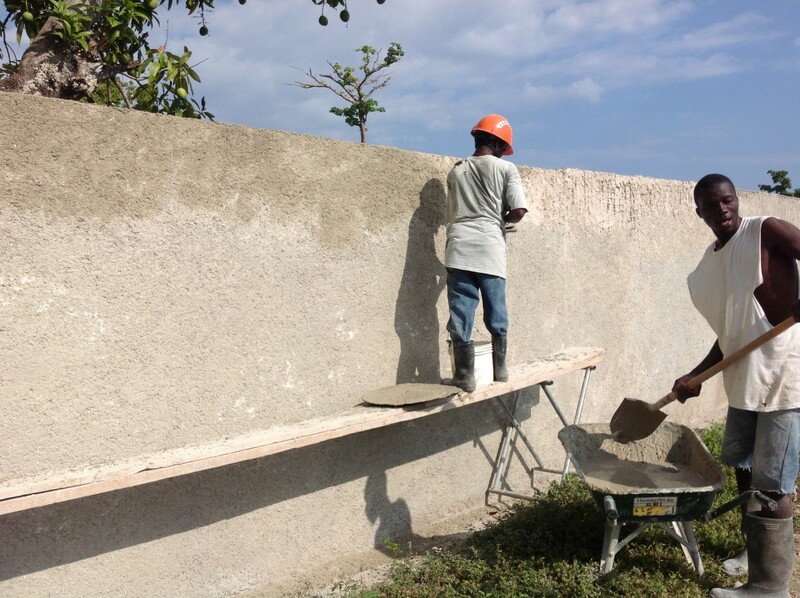 It has also allowed us an opportunity to teach new skills and provide work for the Haitians. 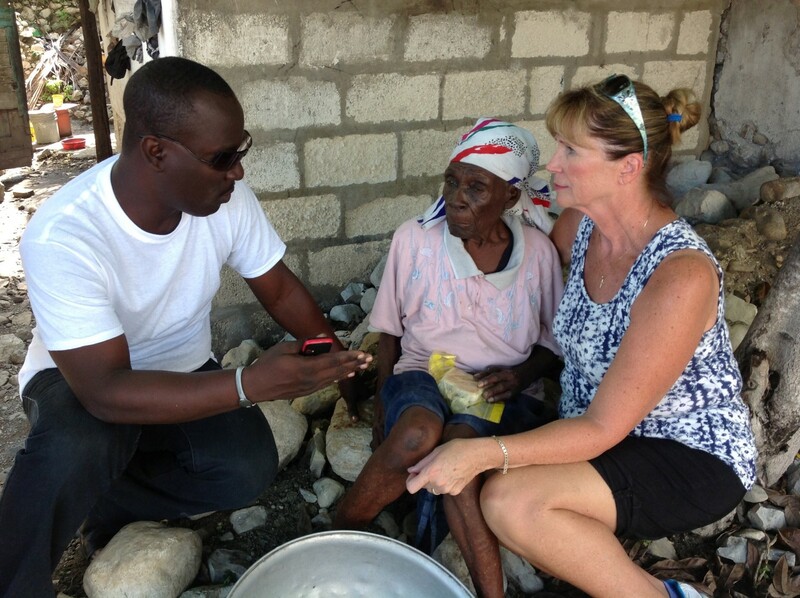 When Hope Grows began their mission in 2007, most of the schools in the mountain regions of Grand Goave had been closed as the government had ceased to pay teachers. Of the 120,000 people in that region, 110,000 lived in the mountains. Education became a priority. As most missions look for sponsors to send children to school, this seemed an administrative nightmare for us. The mountain people are rather transient. We decided to do things differently. Schools were re-opened and the teachers were rehired, but all children in that area would be allowed to attend free. It worked. 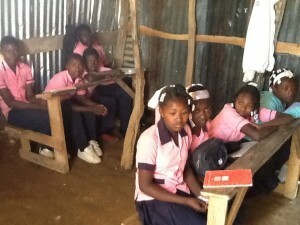 Today we have 950 kids attending school that would not otherwise be able to receive an education. For $7,500.00 a year, for example, we are able to pay the teachers and support 165 students in one school, providing curriculum, school supplies and sending some food from time to time as well. We began looking for sponsors for each of the three schools and to date have 1 school sponsor. Until April 2016, medical help was restricted to wound care and occasional teams including nurses and doctors. The church was used to run a few days of clinics, but otherwise daily available help was not possible. 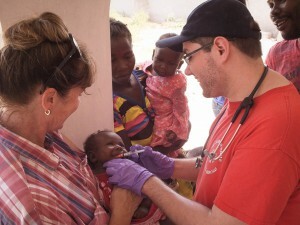 Over several months, as donations came in, a clinic was built on the compound and in May, 2016 the Peterborough Paramedic’s team came and set it up, stocking the pharmacy and running a full week of medical help for the community. 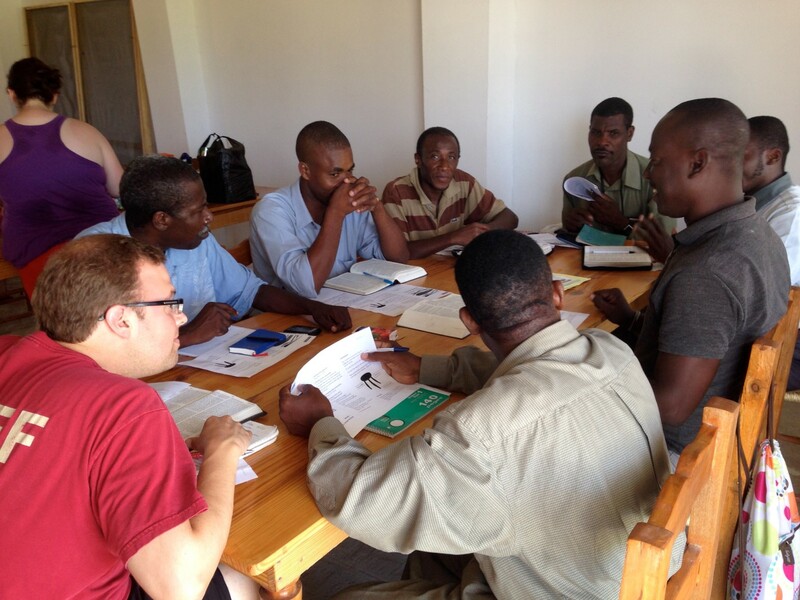 Hope Grows now has a full time nurse on site, able to address critical care issues and on going triage and treatment. This is a huge blessing for Petit Paradis and surrounding area as it is the first to be established in this very poor and needy village. We are grateful for all who have contributed to this endeavor and look forward to hosting many more medical teams in the future.